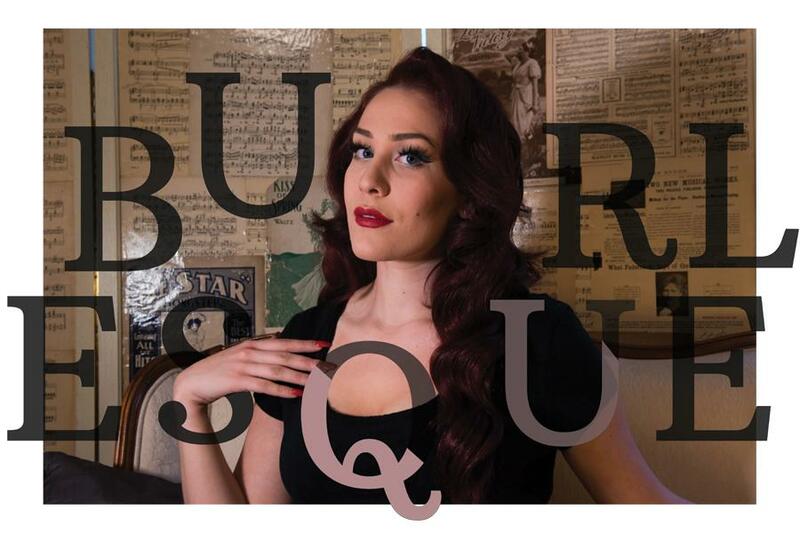 Alaura Hernandez, a Medill Senior, wears vintage-styled hair and makeup for her burlesque character “Diore DeLure.” Hernandez has been performing in professional burlesque shows in Chicago since her freshman year after she appeared in Northwestern Burlesque. It is the last performance of Northwestern’s 2016 Burlesque show and Alaura Hernandez is about to go onstage. But the Medill senior is dreading it — her hands are shaking and she’s breathing rapidly. The lights flare on and she slowly sticks her embellished glove through the curtain. The audience goes wild. This year’s NU Burlesque was the culmination of Hernandez’s performances at NU, where she has appeared in the show for the past four years and co-directed it for the past three. In addition to performing at NU, Hernandez said she started performing in professional burlesque shows in Chicago during the spring of her freshman year because she loved how confident it made her feel. Performing once every two months at Vaudezilla Studios and other venues in Chicago, Hernandez has created a burlesque persona, “Diore DeLure,” whom she described as glamorous, refined and, most of all, empowering. Hernandez said as a burlesque star, she hopes to inspire women through her representation of a curvier body type not often portrayed in the media. Hernandez said she also hopes to embody other unconventional beauty types by possibly performing burlesque after she gets a preventative double mastectomy this summer. The surgery will reduce her chances of getting breast cancer, as she currently has a 50 percent risk. Although she will get reconstructive surgery after, Hernandez said she hopes to do a burlesque act before this happens. Vaudezilla producer and founder Red Hot Annie, who only provided her stage name, has known Hernandez since she first started freelancing at the company. She said it is relatively unique for college students to perform at the company. Her road to performance was sparked by her interest in vintage clothing and by her knack for synchronized swimming, Hernandez said. Hernandez competed as a synchronized swimmer for 10 years, mastering the art of body movement and choreography. She said she’s seen her skills fully translate over, and added that it has helped her with the elegance of certain movements. Though she had the movement skills and interests related to burlesque, when Hernandez was introduced to NU Burlesque by her friend, now Weinberg senior Lauren Hamilton, she said she was skeptical at first. But the two freshmen decided to give it a try and went to the auditions for NU’s first burlesque show, not knowing exactly what to expect, Hamilton said. The two stuck with the first show and the next year they were both asked to direct, which they’ve done for the rest of their time in college, Hamilton said. This first performance convinced Hernandez that she wanted to continue burlesque professionally. Hernandez, who was originally was concerned with her body’s appearance on stage, said that after performing for a while, that concern is now at the bottom of her list of worries onstage. “The more you do it, the more you forget you’re getting naked,” she added. For Hernandez, balancing professional burlesque work with school work has definitely been a challenge, she said. Though she doesn’t perform as much as she likes, she added that she has recently been working on cultivating the brand of “Diore DeLure” offstage through social media and appearances. She has taken a few burlesque classes held by traveling performers at various venues in Chicago, which she explained has a huge burlesque scene. She also invested more money than usual in the last elaborate performance costume she created for an act called “Emerald Tease,” she said. Hernandez said she taught herself how to use a sewing machine for the costume, made a floor-length tulle skirt with detachable panels and transformed a white bra from Target by dyeing and embellishing it. Hernandez added that for her character “Diore DeLure” she tends to style her hair herself using vintage techniques, and always does her own makeup — red lipstick and false lashes. Her acts, which include everything ranging from a “Jessica Rabbit” to a “Marie Antoinette” number, are often playful but always sultry, Hernandez said. In her tenure as a co-director of NU Burlesque, Hernandez aimed to help other performers find confidence in their own journeys into the burlesque world, Hamilton said. She emphasized Hernandez’s role in fostering a community of acceptance within NU Burlesque. Hernandez said she hopes to balance a normal career with a burlesque career in the future, as she will always have a passion for the art that has boosted her confidence and given her an outlet of expression.